For about one week Enfusion Reality show is recording their new edition again at Superpro Samui. Fighters from all over the world are staying at Thailand’s number one Muay thai and MMA resort again to see who is the best of the best. This time the show features 16 professional fighters from all over the world in the 70kg weight division. 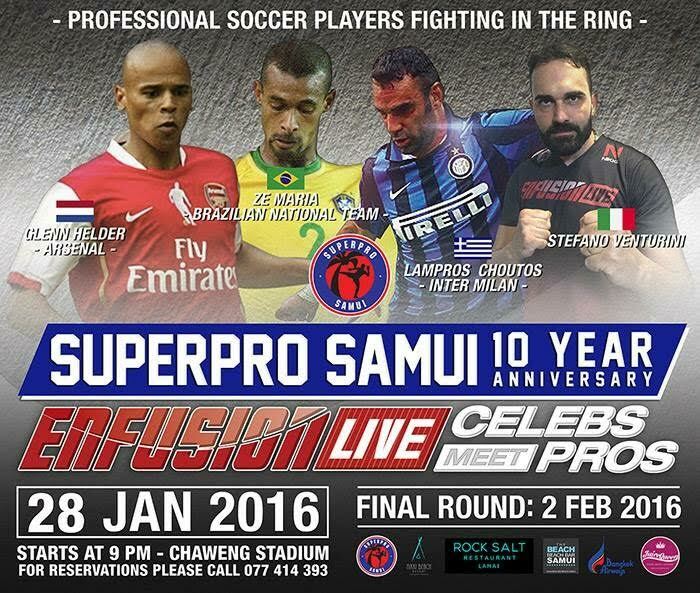 Last Thursday the first event promoted by Superpro Samui took place in Chaweng Stadium. All the 8 winners will fight again on the last and final event of the show tomorrow Tuesday February second. 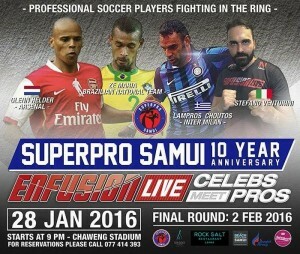 Extra unique on this event is the kickboxing debut of former Professional soccer stars like Glenn Helder ( Arsenal ), Ze Marie ( National Team of Brasil and Lampros Choutos (AC Milan ). After having kicked against footballs for many years they found a new challenge in kickboxing. We know their kicks are explosive. So this will be fireworks guaranteed tomorrow night at Chaweng Stadium. For loyal Samui Times readers we give away 3 x 2 tickets for this event. 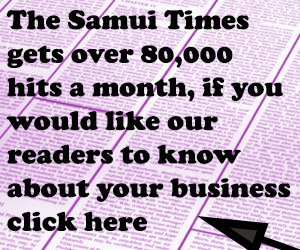 The only thing you need to do is share this post of Samui Times on your Facebook post and tag Superpro Samui and we will announce the winners on February 2nd before 1 pm. 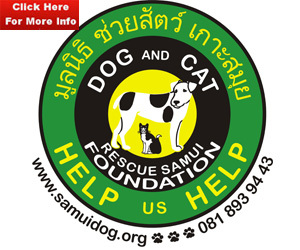 The event will take place February 2nd at Chaweng Stadium and starts at 9 pm.